Our NEW sign was installed today, bringing new the CentrePoint on Colombo Brand together. From a fractured beginging we now have our brand colours and logo in sync. After much consideration and going here and there, it was a simple one day job. The sign guys appeared in the morning with a ladder big enough to make any homehandyman more than green with envy. The olde sign came out and we spent a day with just 3 flourescent tubes! By the late afternoon it was up and looked very good in daytime. A few hours later we were able to confirm that it also looked great once the sun went down. 14 teams from New Zealand, Australia, and South Africa play each other once each over 3 months. We can proudly say that our local team, Crusaders, are regular champions, having won 7 titles in 12 years of Super 12 & 14 Rugby. 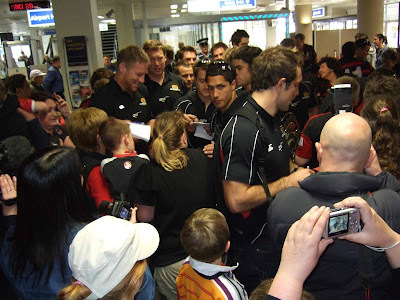 One of the highlights is being able to see regular members of the All Blacks, Wallabies and Springbok play. 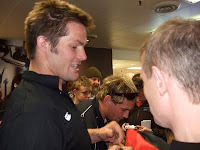 Crusaders have many present and past All Blacks including Richie McCaw (All Black captain) Leon McDonald, Brad Thorn and Kieran Read and it is this that leads to Canterbury being referred to as New Zealand's All Black breeding grounds! If you are in town when a game is on, get down to AMI Stadium for some great entertainment. It's only a short walk from the centre of Christchurch. 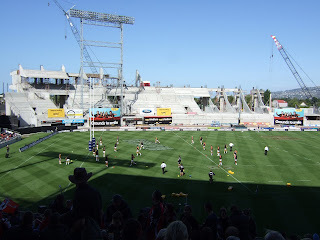 The new Deans Stand, is being built at AMI Stadium and will be ready for the Rugby World Cup to be held in NZ in October 2011. From CentrePoint on Colombo Motel, AMI Stadium can be accessed in about 30 minutes by using the free shuttle bus and a short walk. Many guests walk back to the Motel after the game, dropping in somewhere along the way to celebrate another Crusader's victory!! Tickets can be purchased at the park or at Ticketek in the Town Hall, 3 minutes walk from CentrePOint on Colombo Motel. 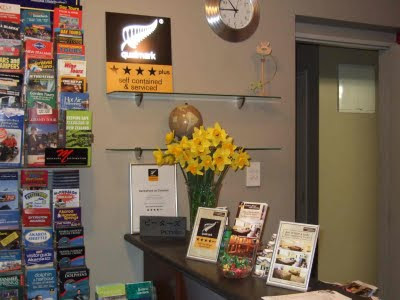 CentrePoint on Colombo Motel, the closest motel to Christchurch's city centre, offers guests a choice of self-contained and serviced accommodation. 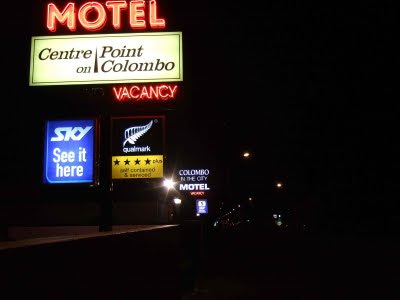 With an enviable location on one of Christchurch's most central streets, CentrePoint on Colombo Motel is a popular motel choice for corporate and business travellers, family and social groups and individual travellers. CentrePoint on Colombo Motel is owned and operated by Jeff and Naomi, with the help of their friendly staff. Jeff grew up in Christchurch and Naomi has studied at a local Christchurch high school. Jeff and Naomi's family grew up in Japan while they worked in international relations and finance. 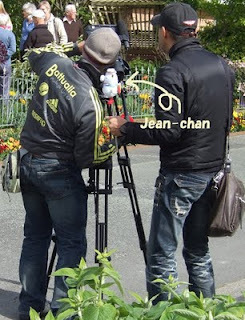 Both Naomi and Jeff speak fluent Japanese and English. 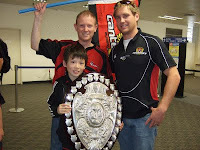 After 18 years in Japan, it was time to return to New Zealand. Our combined local experience and international exposure allows us to welcome guests with a unique combination of local knowledge and intercultural understanding. Closest Luxury Motel to the City CentreChristchurch, New Zealand. Introducing Christchurch’s seasonal events, the best must do attractions and activities and how we can help you enjoy them in the Garden City.